Mobile and the cloud are the new normal for today’s business. But traditional access solutions are poor choices when mobile users “live” in AWS, Office 365, and the rest of the cloud. This eBook will explain the pros and cons of the three ways mobile users can securely access the cloud — direct access, legacy VPN, and cloud SD-WAN. The three new challenges confronting any secure mobile architecture when accessing private datacenters and the cloud. How the cloud undermines mobile user performance, and how you can fix it. The management flaw in mobile VPN solutions that can compromise your network security. How and why you should make SD-WAN mobile friendly. Included in the eBook is a detailed checklist comparing the network, security, and configuration of direct access, legacy VPN, and cloud SD-WAN architectures. Converging security and networking affords enormous gains in agility and cost savings, but traditional SD-WAN all but ignores security. Cato Cloud is different. It’s an SD-WAN built from the ground up with security in mind. 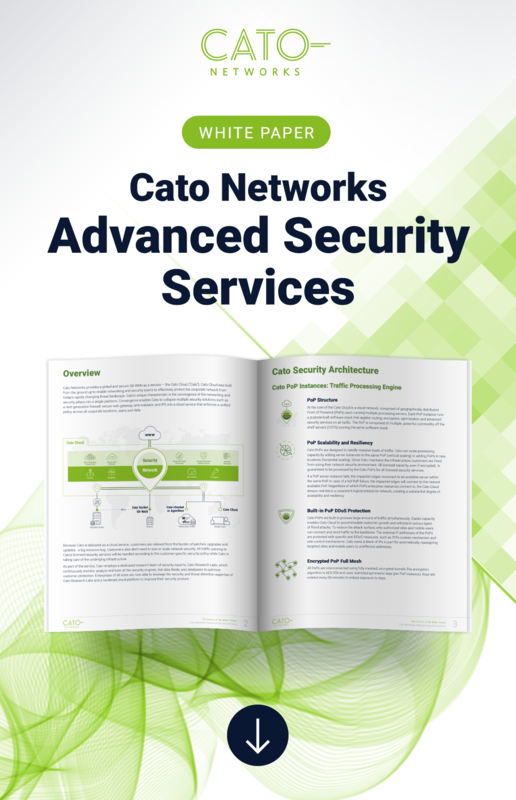 Read this eBook and learn how Cato Cloud can augment or replace your security architectures.